Licensed College Jewelry!! 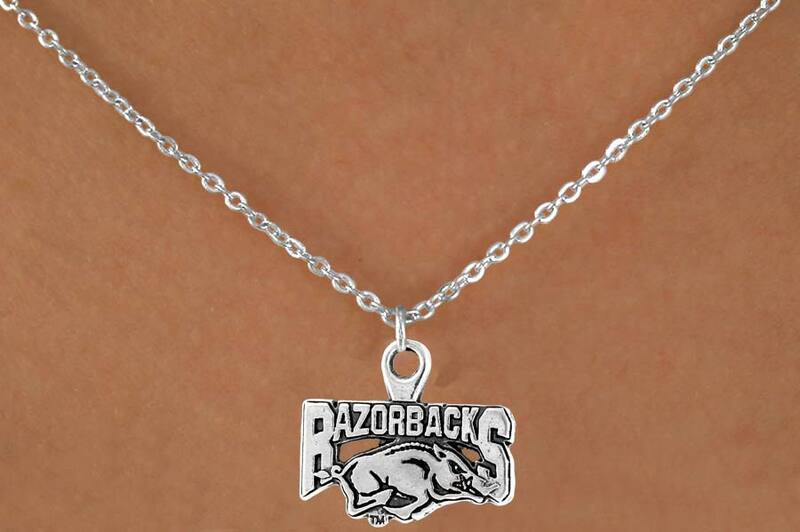 Lead & Nickel Free Sterling Silver Plated Lobster Clasp Necklace Suspends A University Of Arkansas Razorbacks Mascot. 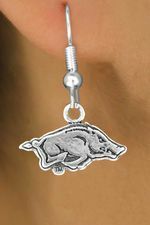 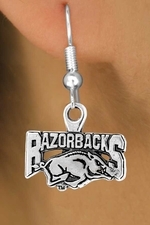 Scroll Down For More University Of Arkansas "Razorbacks" Items: W12903N, W12904E, W12905B, W12939E, W13326B, W13456SG, W13458SG, W13459N, W13856KC, & W13857KC,!